Marriage is hard and life is busy. Which is why we need real, practical reminders of ways to build an awesome marriage. 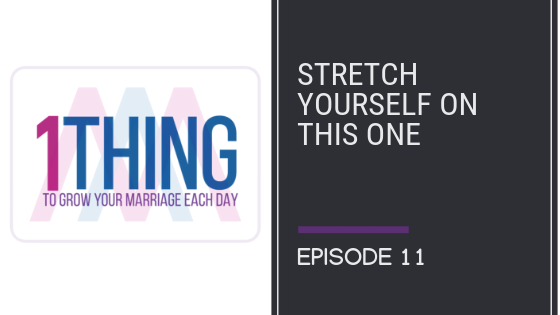 In these short One Thing Podcast episodes Dr. Kim Kimberling shares one practical thing you can do today to invest in your marriage. Please enjoy today’s 1 Thing with Dr. Kim Kimberling episode!